Kisik Lee has again revolutionized the archery world with his second installment of the Total Archery series. 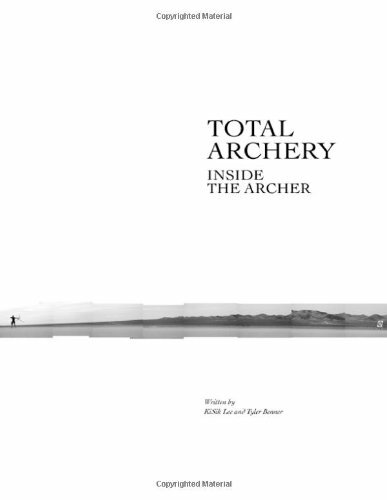 Inside the Archer provides a unique perspective into the highly detailed world of Olympic archery through 28 carefully written chapters. Each chapter focuses on a new technique element, beautifully laid out with large, full-color photos and diagrams that supplement the words of the text in graphical form. Inside the Archer is written as a collaboration between the teacher, Lee, and the student, Benner. The co-authorship creates an intriguing blend of impacting lessons from Lee and curious inquisitiveness from Benner. Never before has archery taken on such a lively form as Lee and Benner speak about archery with such passion and enthusiasm it pours out of the pages. Inside the Archer speaks with a warmth that will remind any archer, past or present, why he loves this age old sport. "If you are either an elite Olympic-style archer or elite Olympic-style coache or one of those desiring to become such, here is my recommendation: Absolutely Must Read Again and Again." "If there was ever any doubt regarding any detail of [Coach Lee's teachings], the answer must surely be in the pages of Inside the Archer. Never before has there been such a comprehensively detailed guide to shooting your best. And as the archer begins to read and absorb some of the ideas, the idea of the shot cycle comes together in a surprisingly simple, graceful way... Inside the Archer provides more information than any of us knew existed about the most minute details of our beloved sport." "Inside the Archer has a better layout and description of the shot cycle than any archery book I have have ever seen."